Description: *Please Allow 7-10 Business Days for Coating Once Item is Paid For. New in box X-Werks Coated Glock 19 Gen 4 MOS chambered in 9mm. 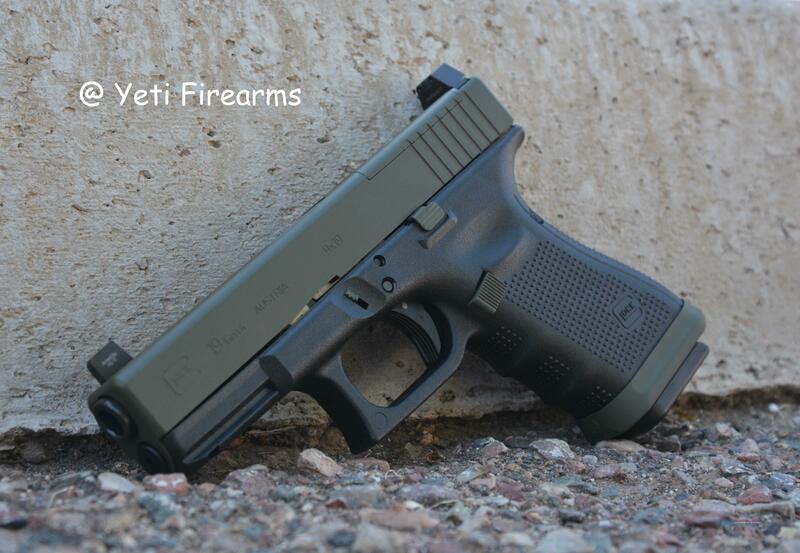 This model features the milled slide that allows a red dot to be mounted to the slide!! This pistol has an Olive Drab Cerakote finish to the Slide and Parts from X-Werks, X-Werks is a professional finishing company located in Phoenix, AZ. Pistol also has Ameriglo suppressor height 3 dot green/ green night sights and an Agency Arms Magwell all installed. This model also features all the Gen 4 improvements and comes with 3 15rnd magazines, 4 different mounting bases (not coated), 4 back straps (not coated), lock, loading tool, and Glock case.